A large country house with spacious gardens and child plus pet friendly which is open all year – close to glorious beaches, the city and many attractions. 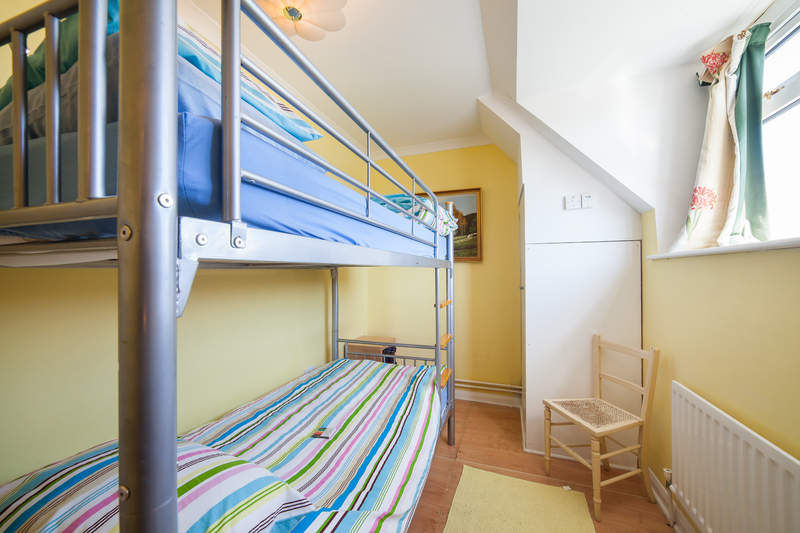 Sleeps 6 people, plus 2 double sofa beds. It has always been a 4* grading. 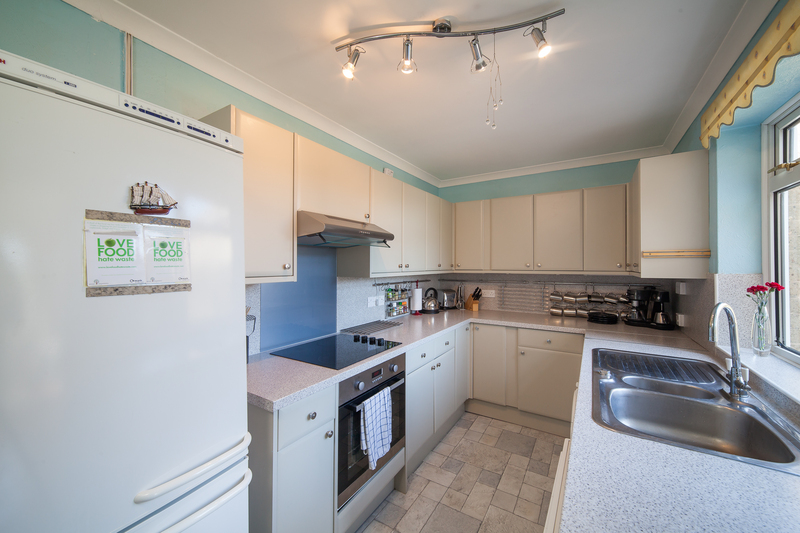 Come home to the big hot tub and sauna, large gardens and comfy sofas after a day out and about and relax! The second entrance by the hot tub patio has a narrow wheelchair accessibility with a ramp and leads past the groundfloor bathroom / sauna complex to the hall/dining room / bedroom / kitchen and stairs. Spacious, sunny living room with roomy sofas and relaxing chairs. Flat screen TV with integral DVD player and separate video player. Ceiling fan for those hotter days, and mood lighting for winter cosiness. Blinds for more privacy reduce the sun’s glare plus curtains. Patio doors open out onto the main garden for ease of access. One of the sofas converts into an extra kingsize bed so the house can sleep 10 at a pinch. 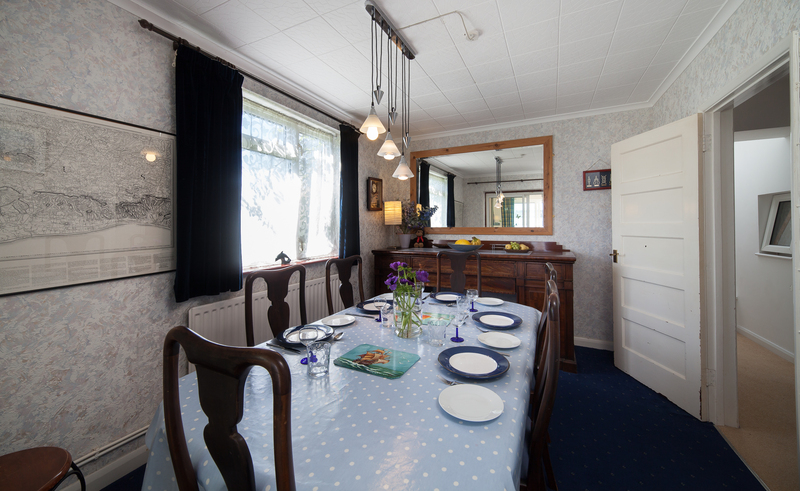 Large, blue dining room with table and chairs for 10 diners and a large sideboard with a huge mirror. Fruit bowls and plenty of storage. Large charts and maps of the area on the walls. High chairs for children available. We also have a selection of cooking books to help you get inspired! We can also arrange for a professional chef to create a special meal for you. Family Bathroom with full-sized bath and an over shower with screen. Toilet and wash basin. 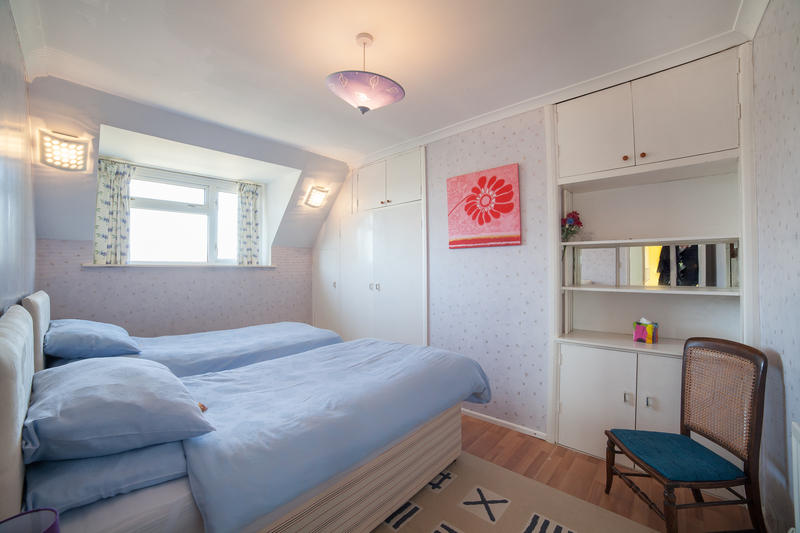 Ground floor low level kingsize double room on a high quality sofa bed or snug lounge / playroom with pigeon holes filled with books, tourist information and games. Plus extra chairs and a fold away table. Patio doors lead out into the country garden and a patio, which then leads to the hot tub and wet room / sauna. The kingsize bed is made up in the Snug. Light, modern and airy looking out onto the patio. The bed height is low. Garden – spacious, mature and private. 2 large lawn areas one more peaceful than the other give sun from early morning to the evening. Mature Bramley apple tree gives shade in one area. Luscious red roses and climbing hydrangeas grow up the house and there are spring and summer bulbs planted in many of the flower beds. With the uber-large greenhouse, please do not allow children to play football on the top lawn. The garden isn’t totally dog-secure but you can have a lawn stake to tie your escape artist to if you wish!. Please clear up after your pet or the lawnmower spreads the mess! Private large patio which has the gas BBQ and hot tub on it, and access into the spa suite, makes up the rest of the garden. This is the midday to evening suntrap. Here the planting is for vibrant colour in the Summer with more bulbs, grasses and semi-exotics! Outside lighting and power make it useable all year round. A large wooden box also contains mats to put down for children to play on a large gym/Pilates ball and other outside toys. Large patio table and seats plus sun shade are ready to serve you. Round the other side of the house there is a good-sized black garden shed which is ideal for bike storage, and also contains bike repair kits, cleaning materials and the tumble drier. Boots and waterproofs storage. Lockable if necessary. Hose for cleaning off pets , boots and bikes here too. More seating for that first cup of tea in the morning watching the sun rise….or the stars in the black sky at night! Really magical with no light pollution. We have plenty of car parking on tarmac, so very access friendly and great if you are having a family get-together with extra friends coming in for a day. 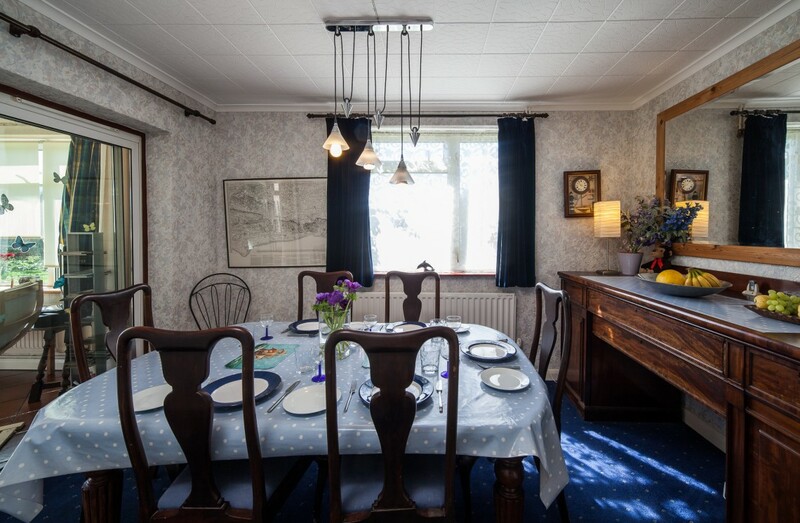 Please contact us if you have any questions about Living Elements or our availability and prices which can also be found by selecting the ‘Book Here’ link above.